This one is a real bear. Both the LMS and the third party early warning tool you just purchased are “supposed” to integrate using the Learning Tools Interoperability (LTI) standard. Further in order to properly work the early warning system also depend upon coordination of data stored in the legacy SIS and the LMS, which-by the way-is slated to be upgraded in the next few months. Oh and let’s not forget you also want to expose the warning system in the portal so that counselors and advisors can access it too. Whoa Nellie! Where do you even begin? The LMS administrator? SIS data analyst? Portal developer? The vendor? Chances are you feel the need to coordinate with them all to hold conference calls, spend hours discussing specifications, common identifiers, migration, upgrade paths, maintenance windows, and more. Then after investing countless hours in such initial discussions you come realize that now the real work is going to begin: writing custom scripts, data massaging, feed processing, opening firewall holes, configuring tools, and programming translators. Soon it sounds like early warning system is going to become a late warning system. 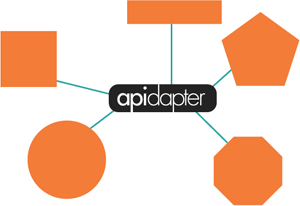 Apidapter handles the complexity of this integration scenario with ease. First you can use the robust debugging tools to get a view of what the data looks like coming from each system. At that point you can match up input and output side-by-side to understand how the data needs to be transformed. From here you can use a mixture of simple logical components like copy to even the most advanced regular expressions to transform data on-the-fly, eliminating the need to change to identifiers, perform migrations, or introduce maintenance windows. Even as requirements evolve or systems change, you can respond by adjusting your integration in just a few clicks. 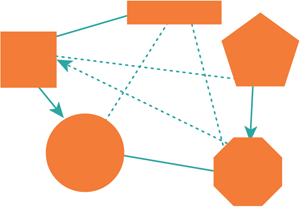 Beyond this is a layer for logging so you can understand not only how your systems are performing as you both develop and deploy the integrations, but this can be shared with all the parties involved with the implementation so they too can see the same real-time information. Looks like your early warning system might be early after all.